More smartphone users in Taiwan will be able to make credit card payments with as little effort as keying in a phone number and PIN with the launch of a new system. 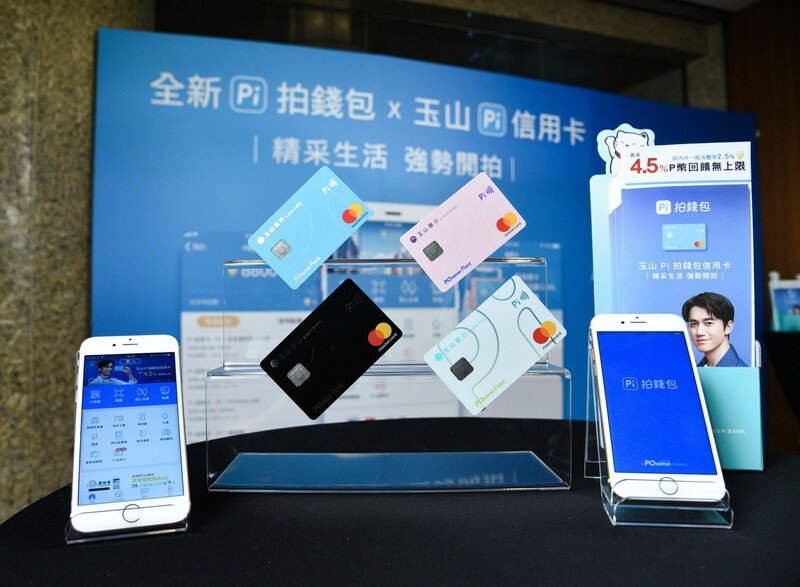 Taipei-based PChome Group's mobile payment company Pi Mobile Technology will make these payments possible by working with E. Sun Bank on a co-branded credit card, according to a local media report. Caption: Mr. Jan Hung-tze (central), Chairman of PChome, alongside with others to kick off the press conference for "Pi Wallet". 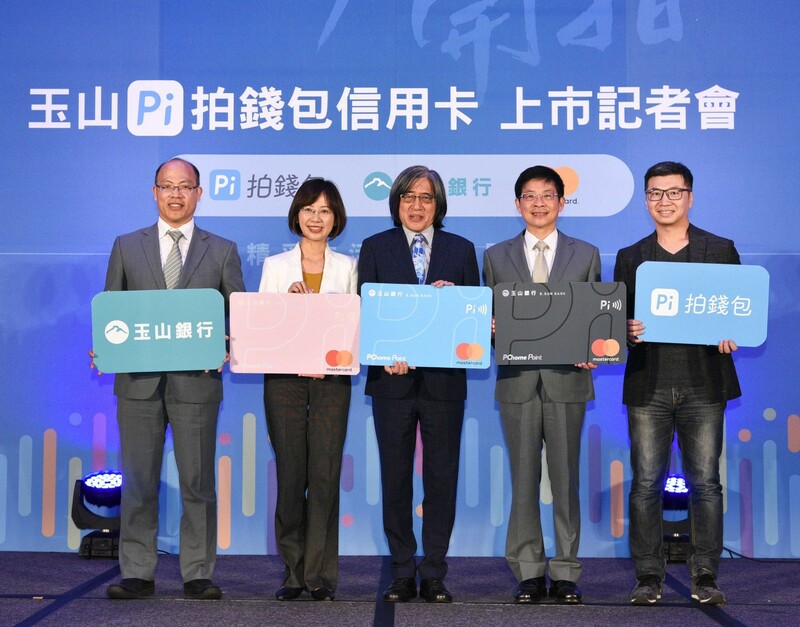 Pi Mobile and E. Sun Bank, also Taiwanese, will vie with the CTBC LINE Pay co-branded card that launched in 2016. LINE Pay’s user base grew from 1.3 million to more than 3 million. The Pi Mobile card mimics the business model of the CTBC LINE Pay co-branded card. For one thing, it lets users accumulate benefits such as reward points – in this case called P-coins that accrue at 3.5% of the value of each transaction. CTBC LINE transactions in Taiwan in 2017 exceeded 2.8 billion LINE Points. People using this card can also use other LINE services, such as its shopping app. The Pi Mobile Wallet app has just 350,000 users, prompting PChome and the bank to raise reward points up to 4.5 % in P-coins for transactions in certain spots, Business Next reported here. PChome has indicated it’s eager to convert that user group into active participants in the P-coin program. LINE is a tough rival as the social media app claims 21 million active users in Taiwan – out of a 23 million total population size. Users need only enter a phone number to make payments. But Pi Wallet E. Sun Bank cards could reach a total of 400,000 to 500,000 in circulation, according to Business Next. The number of transactions as well as their dollar value would reflect the card’s progress. In developing a reward point system, PChome has found the biggest challenge to be integration with a system that it already operates. Reward points aren’t transferable at the moment. PChome is also a relatively late entrant into mobile payments. In the larger U.S. market, co-branded credit cards were once the domain of airlines and hotels, occupying some 28% of the market and an outsized share of purchase value, Research and Markets says. In recent years, however, e-commerce sites such as Amazon Prime and retailer-specific apps for Target and Macy’s have gained a foothold, the market research firm says. These cards now contribute about $860 billion in purchase value to payments in the United States, it adds.